Harvest Festival are annual celebrations around the world, occurring during the time of harvest in any given regions. The climate and the crops are the features that make the celebrations different. Otherwise they are all the same. All these festivals are celebrated by both, the families and the public, with food drawn from the crops that comes to maturity. The common elements of harvest festivals are eating, contests and music which are so common worldwide. In USA it is known as the Thanksgiving, celebrated in October and November. One of the major festivals of Malaysian Borneo is the Harvest Festival which is extremely significant to the Borneo Natives. 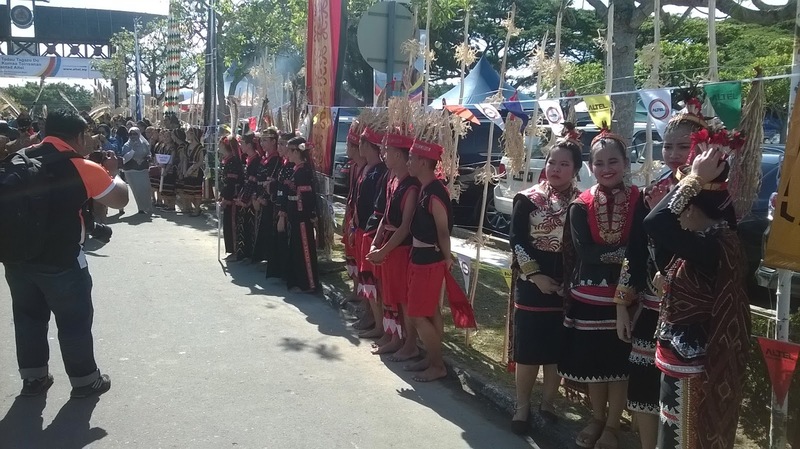 In North Borneo (Sabah) it is known as the Kaamatan Celebration occurring in May 30-31, while in Sarawak it is known as the Gawai, celebrated on June 1-2. The main Kaamatan events are held in the Kadazan-Dusun Cultural Association (KDCA) Center in Penampang. 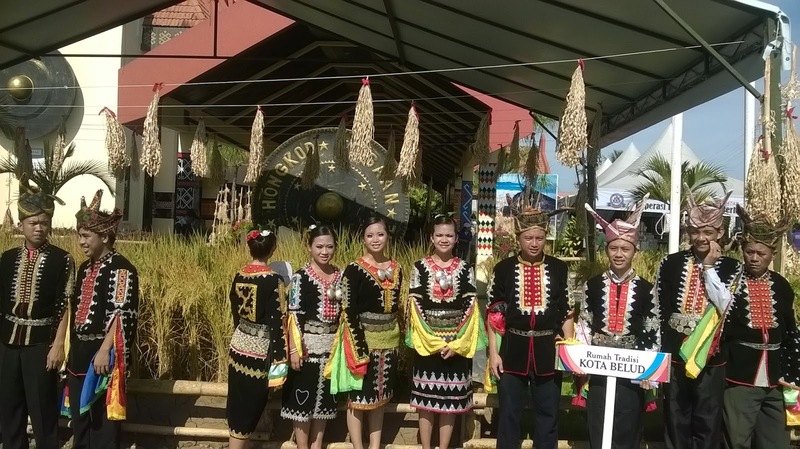 Kaamatan literally means harvest, due to the paddy harvesting. Therefore paddy is the main theme of the Kaamatan Celebration. In the tradition of the Kadazan-Dusun-Murut, the main native tribes of North Borneo, it is the Kinoingan (God) love and affection to His people that He bless them with bountiful harvest. 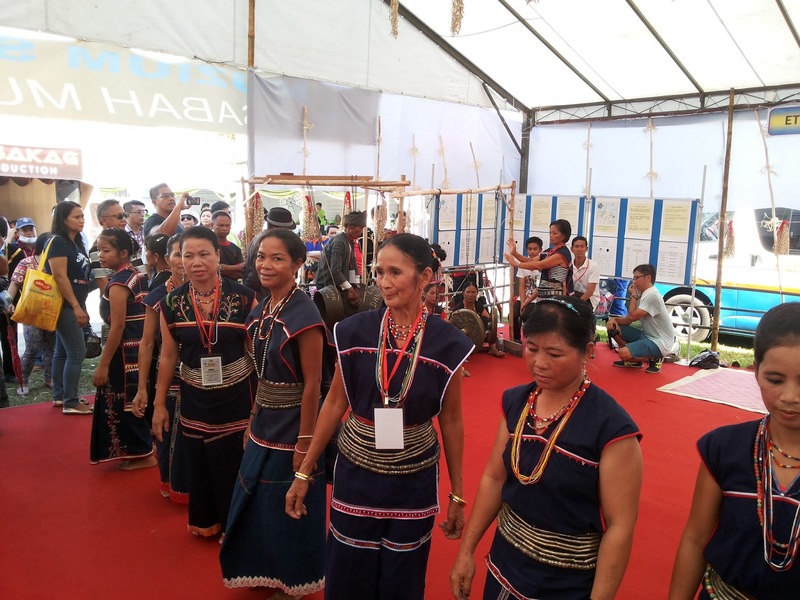 Every year thousands of people visited the KDCA Center to observe all the wonderful cultural activities being displayed. The main theme is the presentation of the various tribal costumes, followed by the lovely traditional dances of each of the tribes and also the Beauty Pageant called Ngunduk Ngadau. To make it more interesting, stall operators are invited to open their businesses around the center. All the traditional dances are wonderful, but to me the most interesting one is the Murut dance. This is probably due to its aggressive rhythm and its quick dancing pace. Another interesting features that attracted foreign and local tourists are the Lansaran, the traditional longhouse bamboo trampoline. About 20 people got into this contraption and start jumping which produce a thrilling bounces. Finally, the closing ceremony is the performance of the Bobohizan (witch doctor) blessing the event called Magavau.